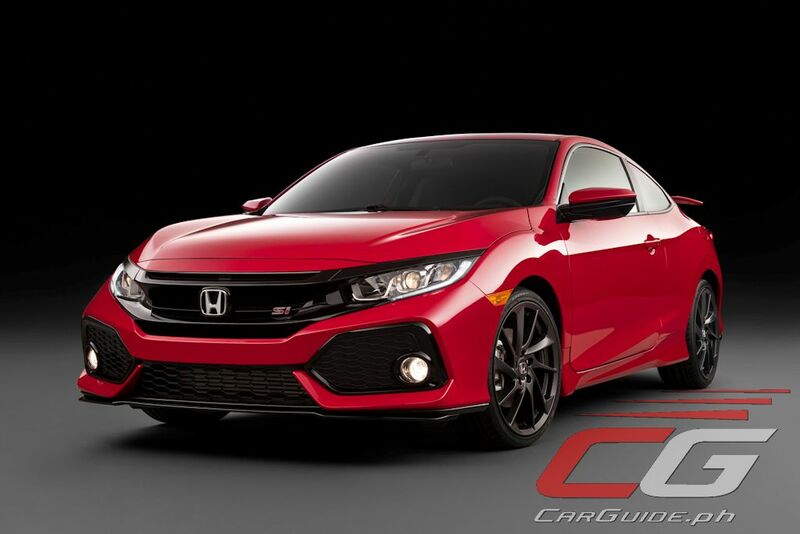 Honda is completing the tenth-generation Civic line-up with the new performance-oriented (but not Type-R) Si. 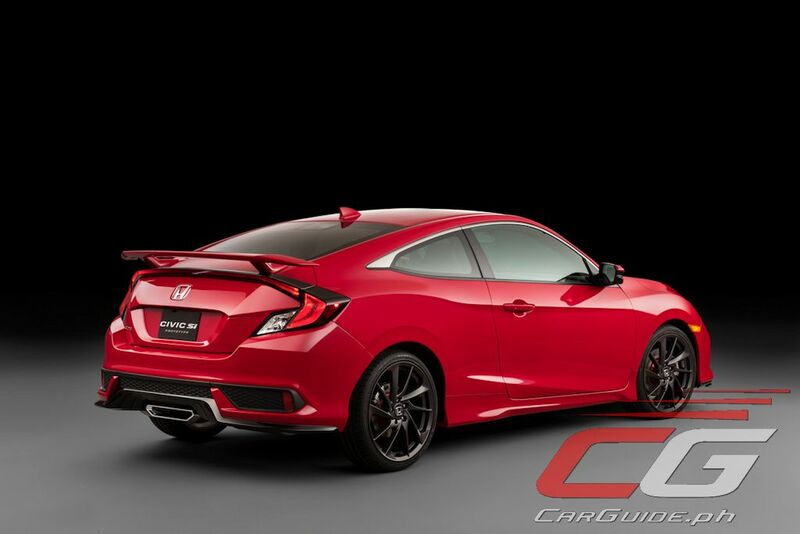 Available in coupe and sedan body styles, the Japanese automaker is first showing it off as a coupe (and in prototype form) at the 2016 Los Angeles Auto Show. 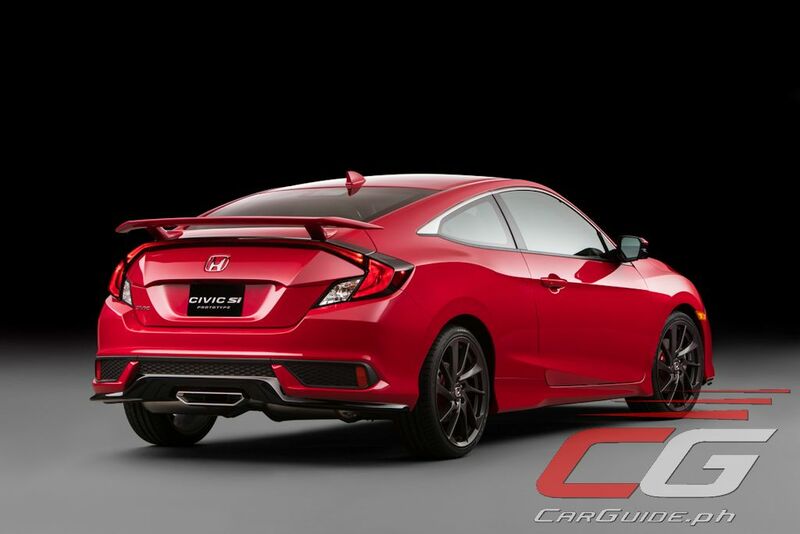 The prototype car, which is finished in Rallye Red Pearl (the Philippines also gets that color), is decked out in full Honda Factory Performance (HFP) aero kit that includes front and rear splitters and a high-deck style rear spoiler. 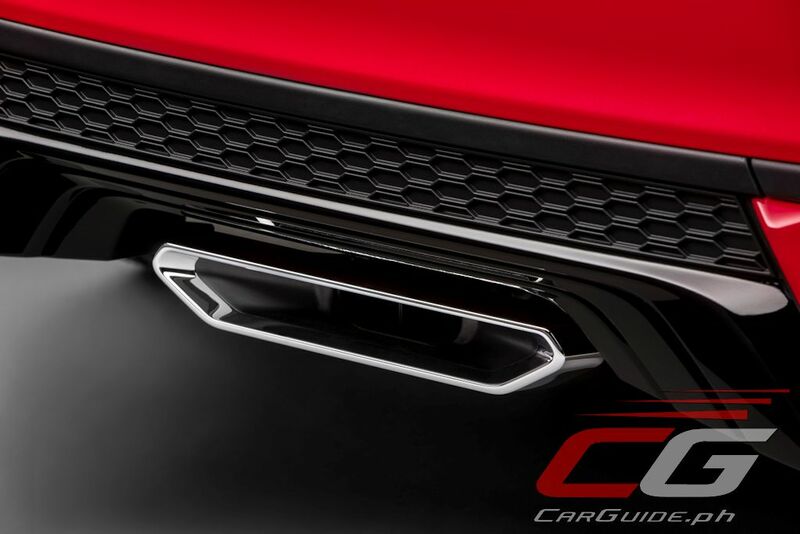 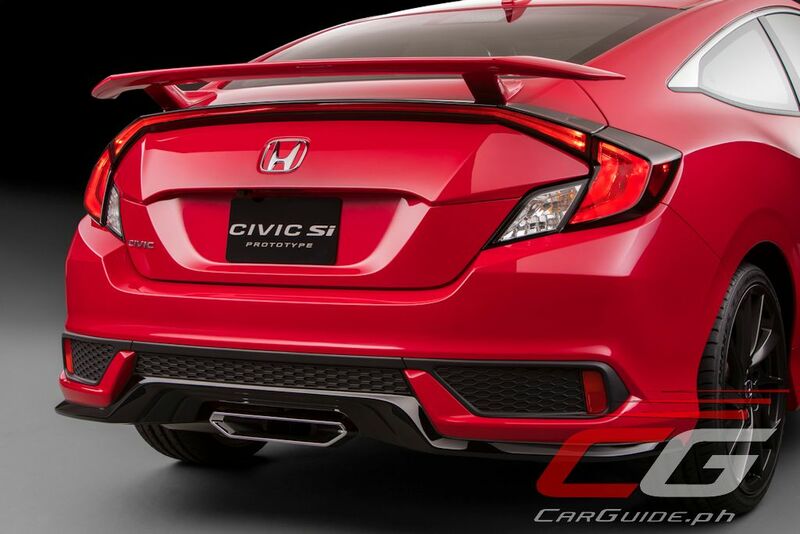 The Si comes with a center-mounted polygonal exhaust finisher and 19-inch rims with 235/35 tires. 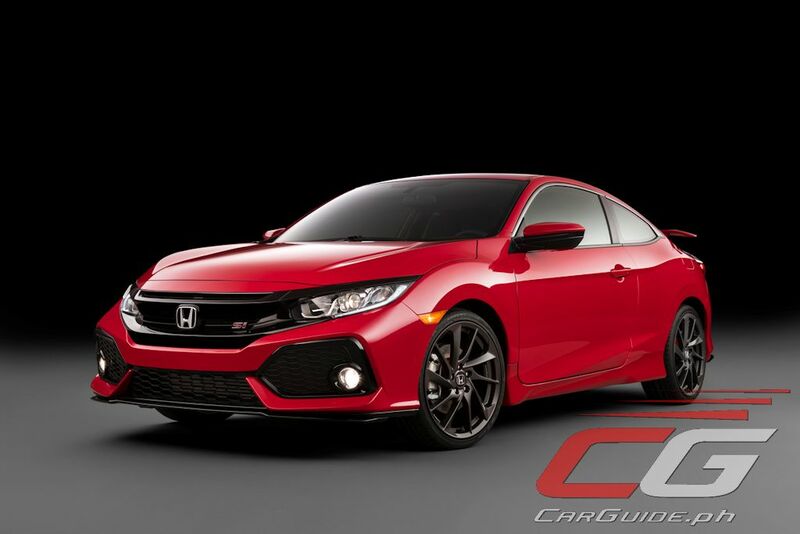 Power figures haven’t been officially announced, but the Si does arrive in US showrooms with a tweaked version of the 1.5-liter Earth Dreams 4-cylinder engine. 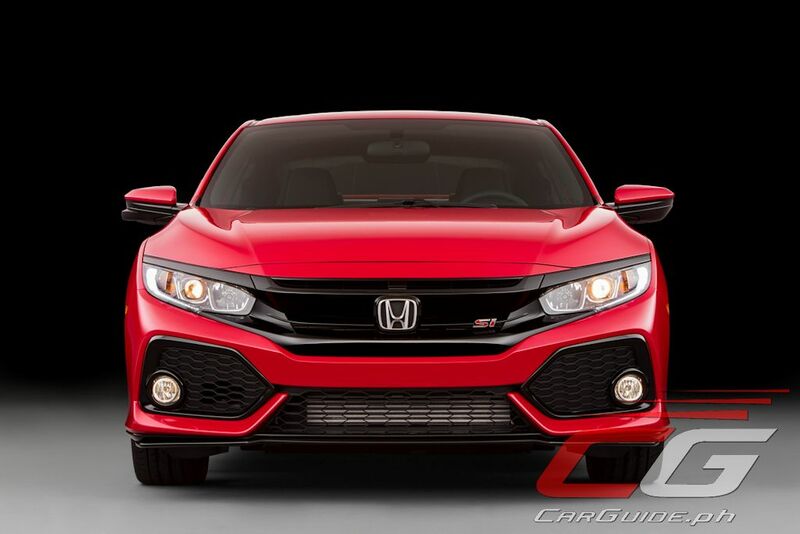 The direct-injected and turbocharged engine comes with double overhead cams and double variable cam timing. 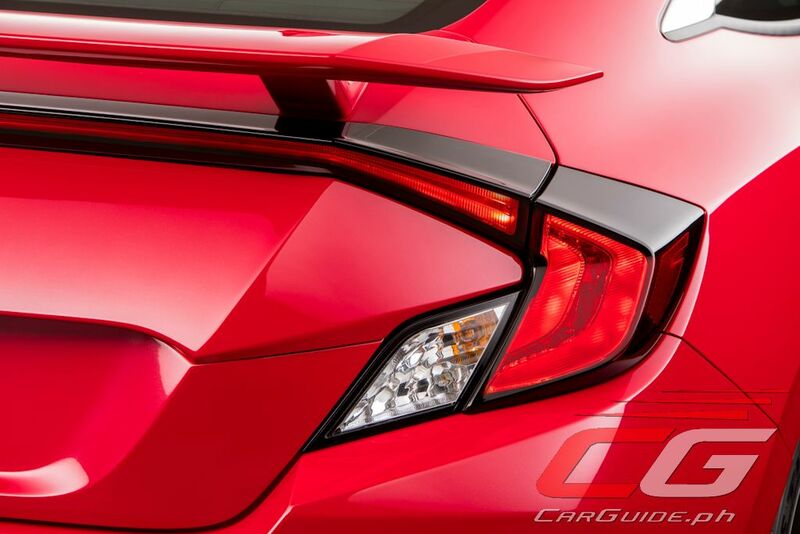 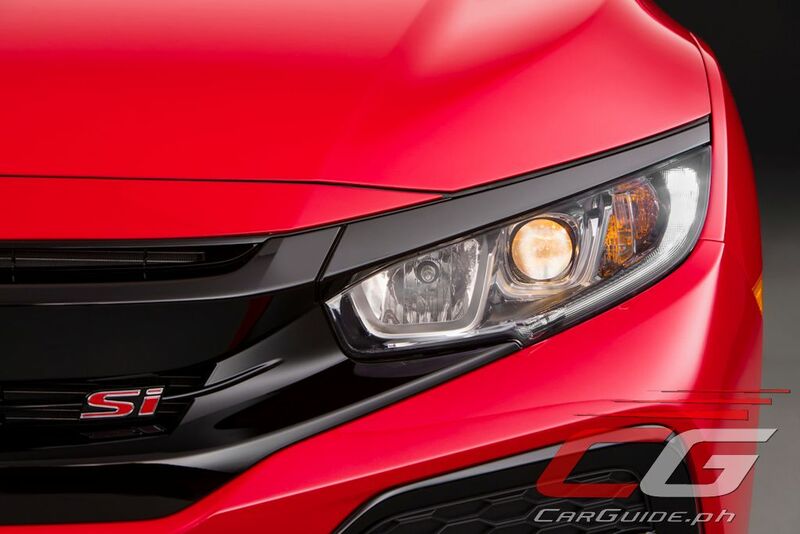 Expect the power figures of the 2017 Si to be north of 210 horsepower making it the most powerful Si yet. 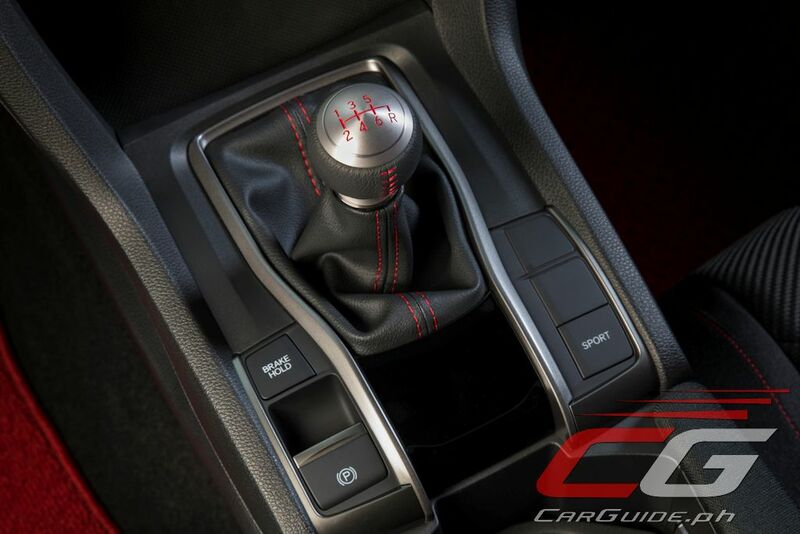 And contributing to the “save the manuals” movement, the Si comes only with a short-shift 6-speed manual. 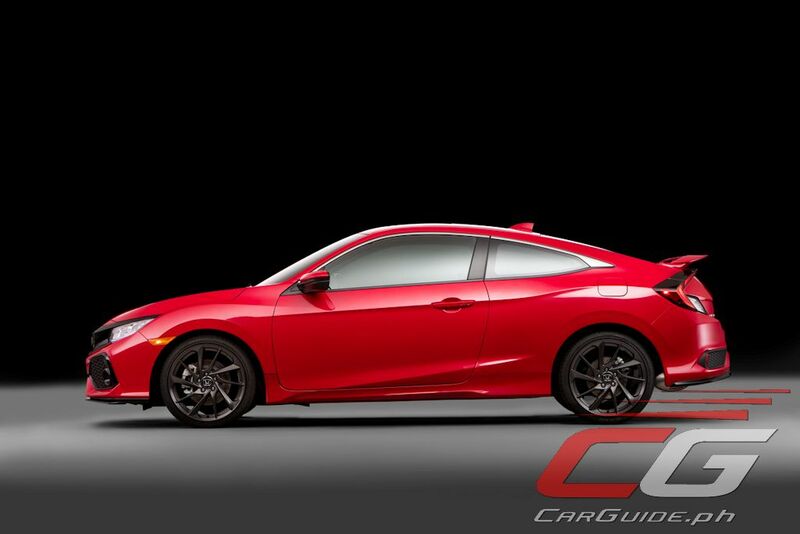 Keeping the Honda Civic Si glued to the road is the job not just of the stickier tires, but also the new active damper system along with active steering and a limited slip differential. 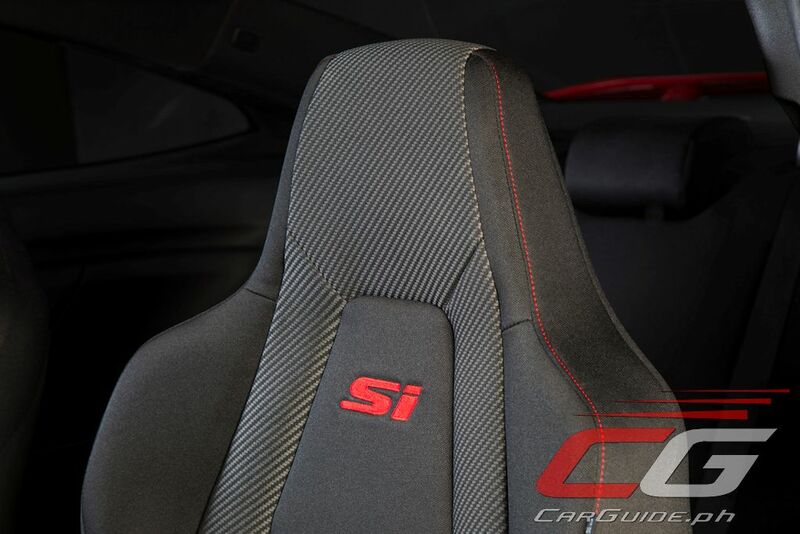 The Civic Si prototype shown is very close to the production version and will come with Si-exclusive front sport seats with red stitching. 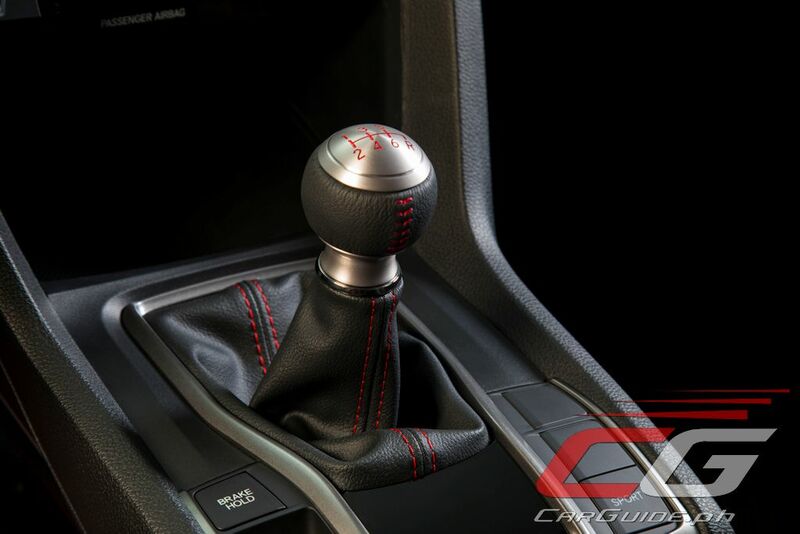 The red stitching continues through to the doors, steering wheel, and the leather shift boot that’s capped off with an aluminum shift knob. 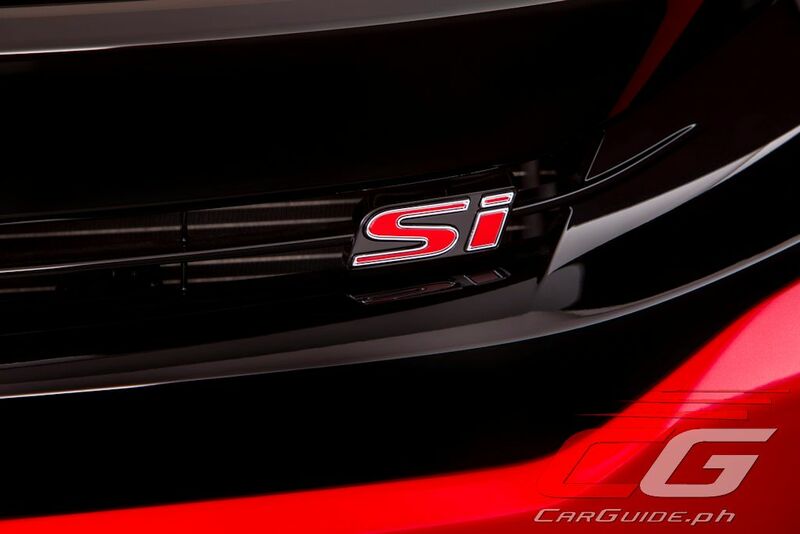 The Si also has red instrumentation along with aluminum sport pedals and a Dry Metal Carbon instrument cluster trim. 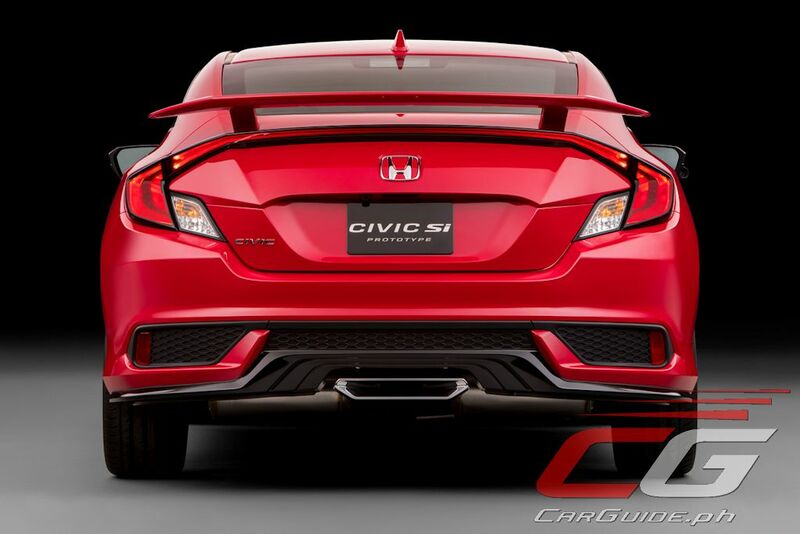 ^Honda's designers are trying hard to make the front and back look aggressive but they fail miserably! 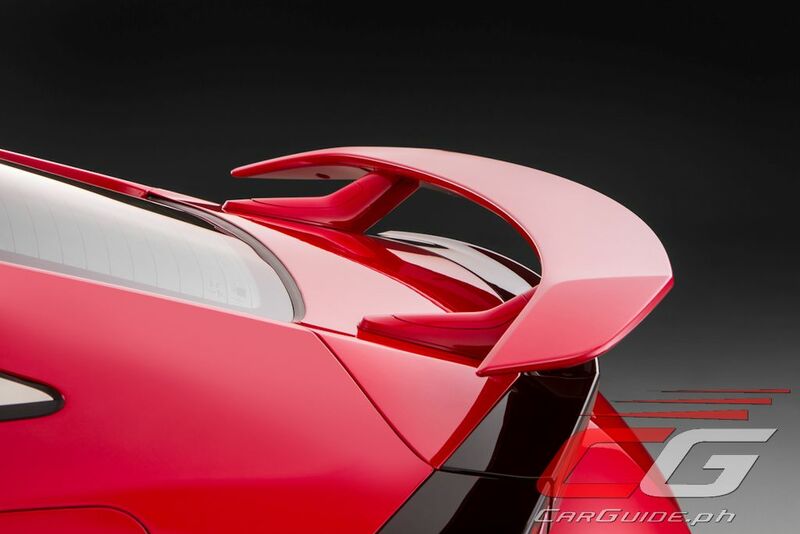 will this be available in the philippines or not?